Kryolan’s popular Global Face Art is back: from January 30 to 31, 2018, the event will bring together world-renowned and award-winning make-up artists in Singapore’s spectacular Capitol Theatre. They will share their expertise and skills from the fields of beauty, fashion, theater, SFX, TV & film as well as body art. Thanks to the city’s breathtaking artistic and cultural diversity, the pulsating Asian metropolis is the perfect location for an inspiring event with the greatest make-up experts of our time. The event venue – a restored movie theater built in the Art Deco style – dominated the Singaporean movie scene for decades after its opening in 1929. Today, it combines a dazzling mix of modern luxury and historical glamor. Thus, Kryolan is extremely proud to be able to welcome famous make-up artists such as Einat Dan from Israel (fashion & beauty), Jabe from France (beauty), Howard Berger from the US (SFX & film), Amazing Jiro from Japan (facepainting), the marvelous Rae Morris from Australia (fashion & beauty) and many more. Through special make-up demonstrations and valuable professional tips, they will be giving guests at GFA 2018 an exciting insight into current make-up application techniques from their diverse professional fields. More artists will be added to the line-up leading up to the day of the event. 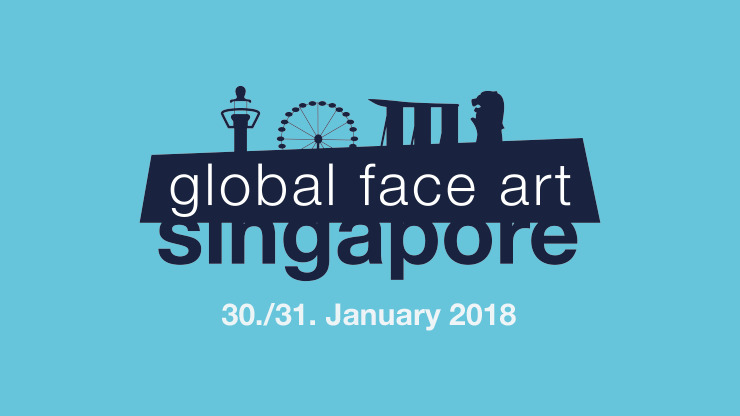 Besides the world-renowned guest speakers, the Kryolan Pro Team will of course be present at Global Face Art to share their knowledge on the different application techniques in combination with different media. Whatever your interests - new products and colors, trends, techniques or application techniques – you will definitely leave GFA 2018 up to speed with the inspiring world of make-up.